Songbringer, a sci-fi, spacefaring game that channels old-school action RPGs, is set to launch on PC, PS4, Xbox One, Mac, and Linux next month. Today, one-man development studio Wizard Fu announced that his new game, Songrbringer, is poised to release next month on PS4, Xbox One, Pac, Mac, and Linux. 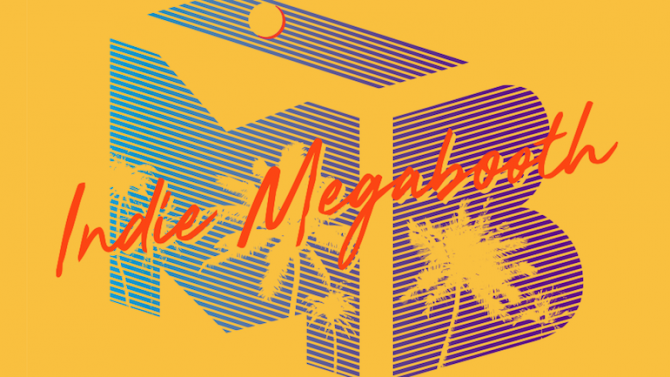 More specifically, the game will arrive on all of the above mentioned platforms on September 1st — except the PS4 version, which won’t ship until four days later on September 5th. 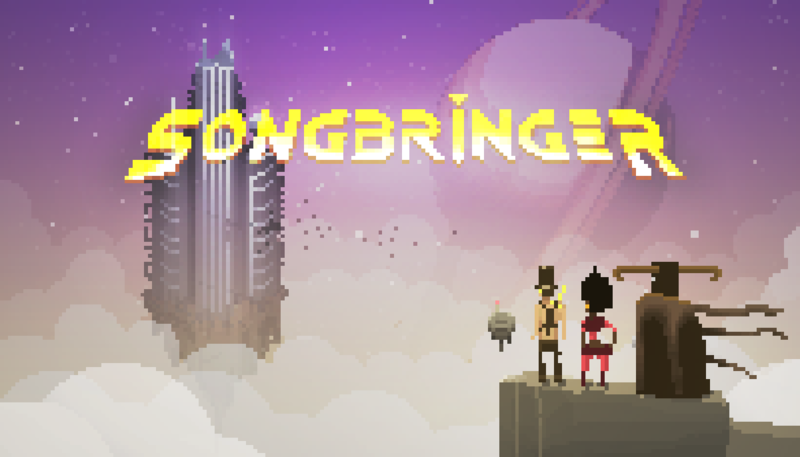 For those that don’t know: Songbringer is a Sci-fi love letter to old-school action RPGs. Set in the Milky Way during 13,000 B.C., you play as Roq, a shirtless, spacefaring carefree kinda dude who is searching the galaxy for the ultimate party aboard his ship, Songbringer. During what he thought was a routine mission, Roq soon finds himself awoken on a mysterious planet without his shirt and the smoldering remains of his hover bike. Something is wrong: but Roq can’t quite pin-point what. One thing leads to another and soon he finds a strange sword and unwittingly awakes an ancient army of evil beings. Classic Roq stuff. Now it’s up to Roq and his trusty robot companion sidekick Jib (who can be controlled by a second player via local co-op) to stop this evil army and save the galaxy which has been cascaded into war. Songbringer boasts a procedurally-generated overworld with ten dungeons in 3/4 perspective. 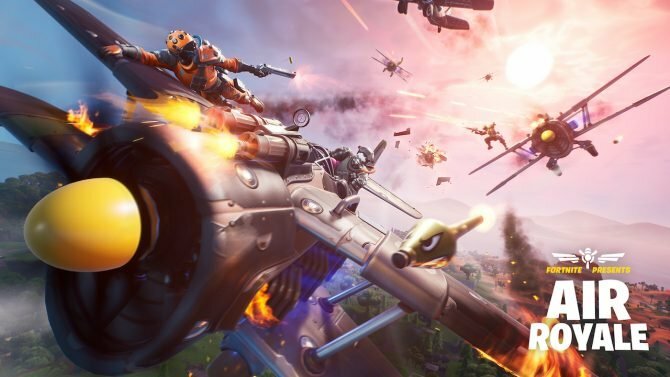 How it all works is when players start a new game, they will enter a six-letter “world seed code,” which in turns spits out one of 308 million unique environment combinations. What this means is that no two adventures will ever be the same, unless you shared a code with someone. The game notably boasts procedurally generated worlds, hundreds of unique items and power-ups, item crafting, hidden content, roguelike-inspired permadeath mode, online leaderboards, and real-time combat featuring seven kinds of weapons (including the nanosword, boomerang-like tophat, bombs, blink orb, a ghost sword projectile, lighter and kilobombs). 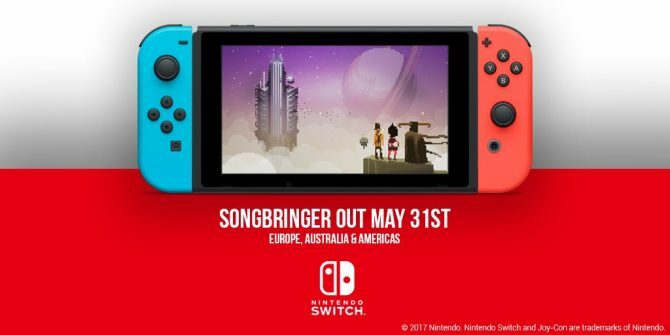 The action role-playing game Songbringer will be the latest indie port to hit the Nintendo Switch on May 31st, adding a Zelda-like indie alternative.